Greetings Perthlings. 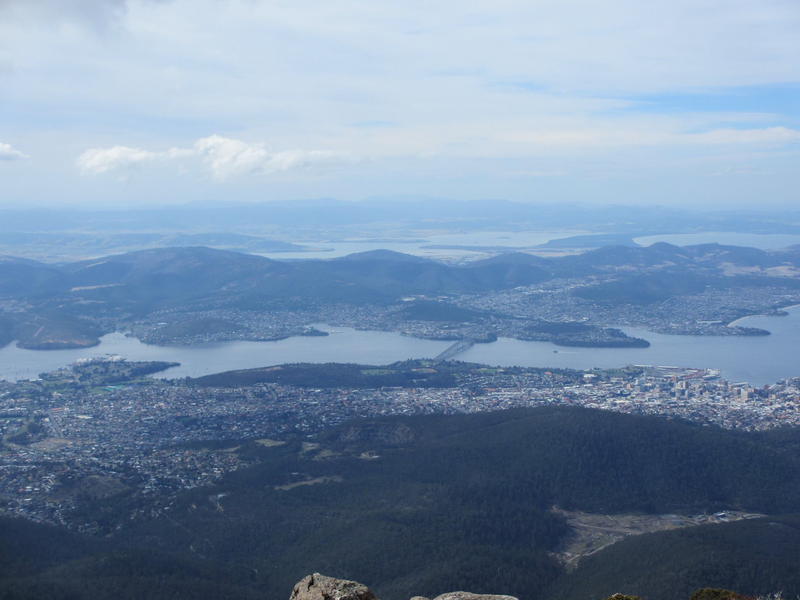 It has now been over 6 months since I left WA to take on a new challenge as a Structural Engineer with GHD in Hobart. Prior to taking this role with GHD I was interim chair of the SUT Phoenix committee, an experience which helped me through a difficult period in my life. Firstly I would like to reflect on my experiences here in Tasmania. I arrived in mid-winter which is significantly different to the ‘winter’s’ in WA. There was snow on the mountain and frost in the ground. Tasmania is very different to WA, more undulating and mountainous; more akin to my native Scotland. It is breathtakingly beautiful in the same way the coastline of WA is. I cannot begin to express my gratitude to GHD for providing me with this opportunity. During the process of relocating they were hugely supporting and offered a generous package which enabled us to relocate our goods, car and even cats interstate. This has enabled my family to settle into life in Tasmania and we have embraced the delights the island has to offer. The work in itself has been a significant departure from my time in the oil and gas industry. I was primarily a Subsea Engineer who specialised in Subsea Structural Design throughout my time working in Perth. As you might imagine there is limited opportunity to apply my experience in subsea design in Tasmania. The projects I have worked on here have been diverse and varied and that in itself has been challenging but rewarding. The primary area I have been working in is industrial infrastructure there are synergies with the oil and gas industry. One of the sites I have been involved in is a metal smelting facility which is over 100 years old and has enormous maintenance challenges. I feel that being involved in the SUT Phoenix committee contributed to my being in a positive and confident frame of mind when it came being interviewed by GHD. Being part of SUT Phoenix provided me with a purpose and kept me engaged while I was otherwise unemployed. Taking the role of chair increased the level of responsibility and provided me with the opportunity to meet and speak with individuals and groups I would not have otherwise. I am aware that it seems incongruous or even ironic that being part of a special interest group associated with furthering the interests of those in the underwater and subsea industries led to my leaving that sector but you have to take opportunities as and when they are presented. I would encourage those in SUT Phoenix to participate as much as they can; it gives you purpose, engagement and you get the opportunity to meet interesting people and make new connections. In summary I thank the SUT for giving me the opportunity to be involved with Phoenix and to those currently struggling with the downturn I understand the worst is over and things are improving. I do not envisage the boom of yesteryear but a more sustainable industry revolving around maintenance of the existing and recently operation fields with new projects arising out of the need to backfill and maintain production on existing facilities. All the best to all for the future.